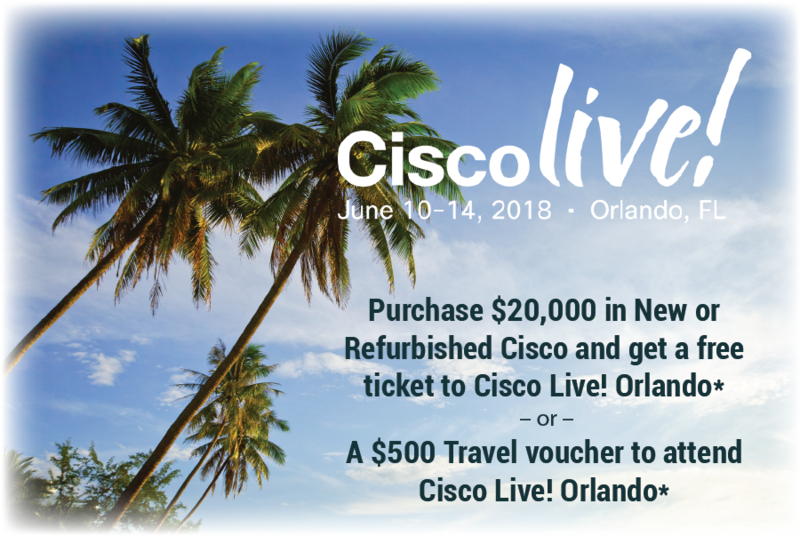 View full details of Cisco Live! Orlando here. *Promo only applies to new or refurbished Cisco hardware. Applies to new orders only and cannot be combined with other offers or special pricing. Limit one per customer. Cisco Live ticket is the imagine pass. Travel credit is booked through Network Craze. Offer void where prohibited.